A Soul in Exile: A Wolf scared of the lamb!!! A Wolf scared of the lamb!!! Otherwise - what justifies the audacity with which a Kashmiri Pandit is being "charged and accused of - for the crime of cooking and serving Kashmiri Cuisine..."
Does Mr Ovees Qadir mean to say that you have to be a Muslim to cook Kashmiri food...? And if he is worried about the brand-Kashmir being destoryed by immitation products from other areas - he better first walk into the thousands of "Kashmiri handicraft" shops that have mushroomed at all tourist destinations you can imagine of in India or on any high-street in any Indian city... These shops run by his bretheren are the biggest and most brazen con-acts exported by Kashmir. These shops run by Kashmiri's sell anything and everything labelling it as "Kashmiri Handicraft" and you are bound to get ripped off an arm and leg even for a fake Pashmina or a low quality carpet. Mr Ovees seems to have no issues with his folks passing off cheap 'raffal' off as Pashmina to the unknowning customers - who repose their misplaced faith in the brand Kashmir, he seems to be championing the cause of. 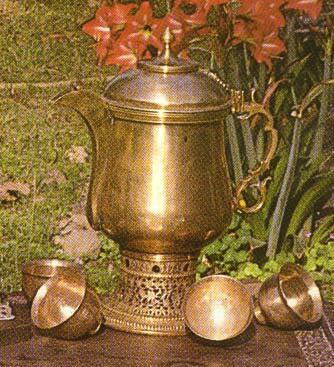 Mr Ovees - I have a Kashmiri Kangri, a kashmiri samavar and many other Kashmiri things at home. 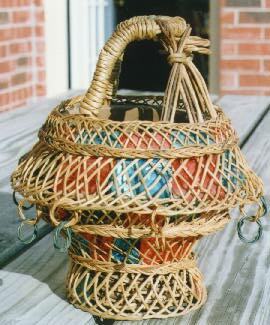 Please inform me how/where do I have to pay Jizia tax for buying a right to keep this Kangri at home...? "Srinagar April 15: Claiming that hotelier in Mumbai is offering Wazwaan and simultaneously training the would-be chefs on how to prepare the world famous Kashmiri cuisine, food processing unit holders are seeking Geographical Indication (GI) status for the cuisine.